In 1921, the bloodied bodies of Colonel Fletcher, his wife and two staff are found in a manor house in Surrey. The police have put the murders down to a violent robbery, but Detective Inspector Madden from Scotland Yard has his own suspicions. In the meantime the killer is plotting his second strike. As with all murders one has to go back to understand the present. 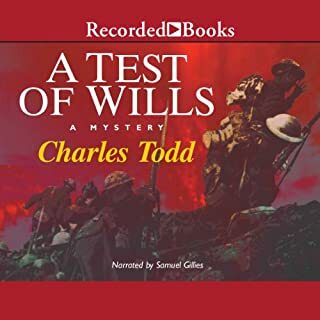 Charles Todd writes a good tale with a strong feel for the period and for the people who are emerging from the horrors of the Great War. 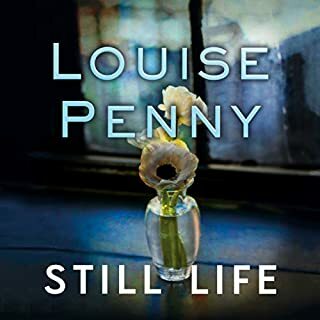 It is a world on the cusp of huge changes and the listener has the feel of the twilight of the C19th and Victorian Britain and the winds of change of the new century. The plot, the characters and the north Norfolk marshes are vividly brought into being in this story that is well-told by Samuel Gilles. Flipping a coin on the stars. I am wavering between 3 and 4 stars on the story and ultimately decided to be generous. I like this series and I like Rutledge and Hamish. I liked this book more than I disliked it, but there were issues aplenty. First, this is the second book in a row that just ended. No denouement, no reactions by the characters, just reveal the killer(s) and let the reader assume what happens. It worked slightly better in this book than the last, but it is getting old. Secondly, there is an historical inaccuracy that bugged me because it was SO easy to check and showed laziness on writers and editors. The victims of the Titanic were not buried in Ireland, they were buried in Halifax, Nova Scotia. Thirdly, there was (to me, anyway) a serious plot hole regarding the mental state of one of the victims. I won't elaborate since it would be spoiler-ish, but it did reduce my enjoyment of this installment quite a bit. All in all, I will keep up with the series. I am just not the biggest fan of this one. 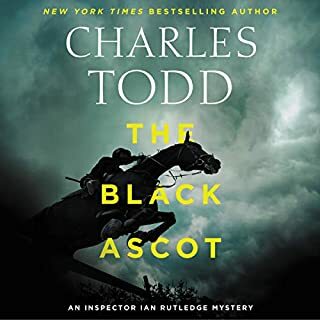 Charles Todd is the pen name of a mother & son writing duo who somehow create fabulous books together (they also write the Bess Crawford series)--and the two are perfect complements for each other. Ian Rutledge is a man deeply wounded in body, mind & soul by the Great War, and he is now reclaiming his life as an inspector for Scotland Yard. He has to do his job while trying to recover from shell shock, which in his case, manifests frequently as an internal personification, or voice, or a dead comrade from the war, who makes his views known much of the time. He functions somewhat like Rutledge's alter ego--in that he often points out nuances and dangers that Rutledge doesn't consider. It is hard to describe this part of the books. I think if I had just read about this on the back of a book jacket, I might never have bought the books in the first place (years back). However, I just began reading and discovered that Charles Todd (mother & son) have found very sensitive ways to handle what is a devastating psychological condition in a highly creative manner, without forcing the reader to suspend belief. Their ability to weave story, plot, history, psychology & feeling into their books is exceptional. 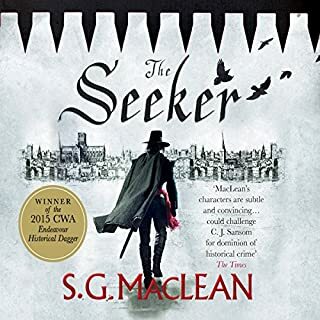 In this book, he is called to a town where a priest has been murdered, and he has to tread carefully because the local police are not totally viewing his presence happily. However, they do work together, and as is always the case in this series, the plot becomes complex, full of interesting people who could all have motives for the murder--and Rutledge has to fight against the local hopes for the villain to have been an outsider, by carefully negotiating his way with careful questioning and interviews. This is a really good book--I read it some years ago, and now was happy to listen to it--I enjoyed it quite as much as reading, perhaps even more. Narrator is very good--read at a good pace, and with good inflection. A tiny bit challenging to tell people apart by their voices--but does not detract from the whole thing. Would you consider the audio edition of Watchers of Time to be better than the print version? I don't know why Audible.com repeatedly asks this question in its Guided Review. It's rather presumptive to assume, as much as books cost today - especially audiobooks - that most readers/listeners would buy both formats. Of the close to 2,000 audiobooks I own and 10,000 print books that I've read in my lifetime, I only have doubles on, maybe 5, works. This is not one of them. I was really not that surprised at the instigator because he gave himself up pretty early through his actions. However, the COMPLEXITY and MOTIVE of the conspiracy was a bit shocking. Who would you have cast as narrator instead of Samuel Gillies? 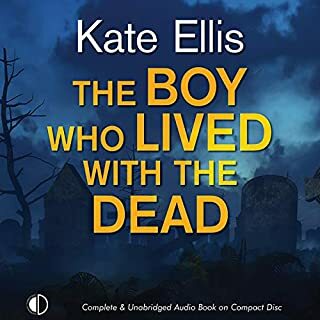 There are 16 books in this series (4 not available in audio, although this was one of them when I pulled up the Series list), I started with "A Pale Horse" which is #10 and narrated by the great Simon Prebble. I then went from 10 to 15 and got "addicted" to the stories and very comfortable with Prebble who makes the whole psychological thriller aspect more compelling and interesting. 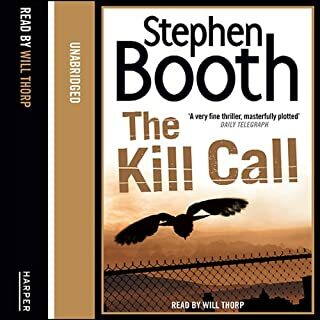 But, out of sheer desperation (pretty much like a junkie needing a "fix"), I fed my "habit" by listening to #2, 3, and 4, narrated by Samuel Gillies" There's nothing really wrong with him, after all he started out as the narrator, but Prebble is just a better fit, giving the story a darker feel while Gillies is more suited to a light Charles Dickens story or something more Victorian. I bought #18, "Hunting Shadows" upon its recent recent 2014 release. This book was released in January 2014 also (?) so I downloaded it as soon as I finished 18. Bad move because I just couldn't get into Gilles and the quality of the recording was not good. This series keeps the listener on guard, with its numerous twists and turns and red herrings. The moving part of the story is in every book in this series - I keep feeling sorry for Inspector Rutledge. He was dumped by his shallow fiancée when he returned from the war and, although attracted to numerous women in 14 books, he never seems to be able to pull himself together emotionally to embark on a new relationship. Rutledge's "demon" is a psychological "talking monkey on his back" called "Hamish McCloud". No spoiler from me! But I didn't like Gilles Scottish accent enough. Hamish became irritating because it's hard to understand what Gilles is saying half the time. 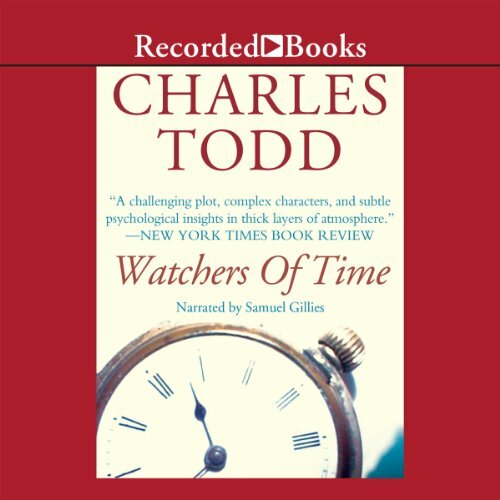 Where does Watchers of Time rank among all the audiobooks you’ve listened to so far? 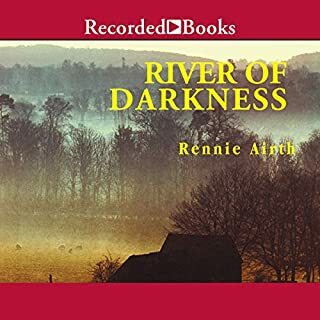 I like the character in this series who deals with his own demons from WW I as he tries to solve crimes in post war Britain. The story repeatedly refers to the bodies from the Titanic being buried in Ireland whereas those bodies are in three cemeteries in Halifax, Nova Scotia, Canada. The author has confused the Titanic with RMS Lusitania whose victims are buried in mass graves in County Cork,Ireland. That major error spoiled the book for me! Great series - endings not so great! 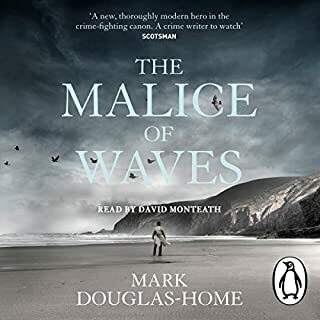 I have listened to all but the last book in this series and find the various mysteries in them among the most intriguing of any detective books I've read (and I've read hundreds). I just finished listening to this one for the second time - the first time was a couple of years ago and I did not remember how it worked out. There are two main mysteries - why one woman hated the priest who was murdered, and what the dead priest's involvement with another women was. Oh, and what a dying man who wasn't Catholic confessed to the priest not long before the murder. As usual with these books I was hooked in from the very start and could hardly bring myself to stop listening to do anything else. All the questions are answered in the end, but as the end approached things started happening so fast it was hard to keep up. Then once all the secrets were revealed the book ended so abruptly I had to rewind to see if I'd missed something. I hadn't. The book just ended. Sometimes I think these mystery writers get so tired of writing the books they just wind them up as quickly as they can when they get to that point. As usual the narration was brilliant. I really prefer Samuel Gillies to Simon Prebble although Mr. Prebble is faultless. Samuel Gillies has a more dramatic reading style I really enjoy. I am listening to the whole series a second time before I go on to the last one, which I have already purchased. I highly recommend this book. Yes I was a little disappointed in the ending, but if you're a mystery fan you have probably learned the resolution of the mystery is rarely as satisfying as the rest of the story. There's so much description of places and people that I seemed to lose the story line. I admit, I was doing other things while listening, but still, I wondered in what direction I was being led and for what purpose. Maybe I need to listen again, more carefully, to enjoy places and characters. 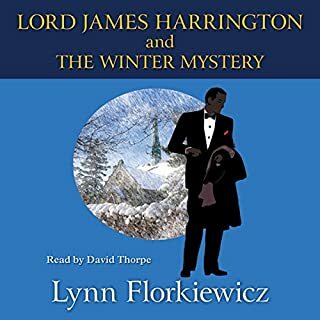 I would recommend this series, however, would suggest the listener start at the beginning of the series. I started at the end and worked my way back. When I got to this narrator I was not willing to listen. 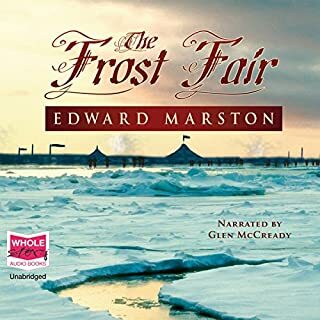 The latter books had been performed by Simon Prebble but this narrator's performance was ...well, just frustrating to listen to. It seemed choppy and the narration interfered with the story. 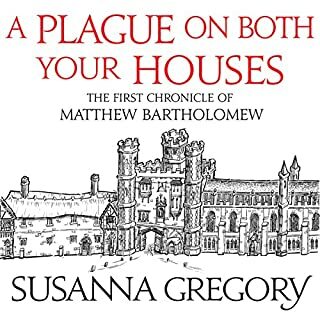 However, if I had started listening to this narrator in the beginning and then moved on to Prebble, I would not have had a better narrator to compare this one too. Of course, it is very probably I would not have moved forward to enjoy the rest of the series. I would have changed nothing about the story. I don't often complain about a narrator, and I feel I might be unfair in my complaints here. However, if the narration had been slower in places, not as 'excited' or 'animated' in others it would have helped with the flow. I love this series and am forcing myself to go on with this book. I may yet abandon it. 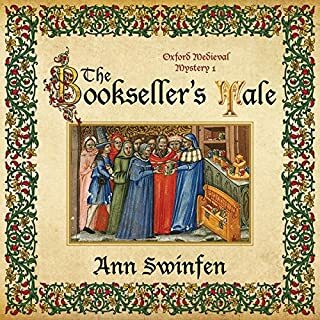 I have over 400 books in my library and have abandoned only two others -- neither because of the narrator. I can’t say whether the characters themselves or their actions and decisions where more they interesting! To the very end, you’re likely to only get to an estimated guess. No... the story doesn’t depend on last-minute disclosure of clues. Instead, you are bombarded throughout the story. Absolutely delightful. And VERY WELL narrated. I enjoy the Inspector Ian Rutledge Mystery series. Which is a good thing because I don't appreciate cliff hangers without being forewarned. This is the second story without an end. Otherwise another excellent mystery. Samuel Gillies is a terrific narrator for these books. He brings forth the suspense I believe Charles Todd meant for us to hear. And oh did we hear it. From the first paragraph all the way to the end of the book! All the way to the end, I felt I knew who had committed the murder. And once again, I was so totally wrong! Charles Todd kept me guessing all the way to the end. And the murderer was the last person I would have guessed it to be.